New Star pre bonded hair extensions give you a fantastic hair product that you could give it a go. 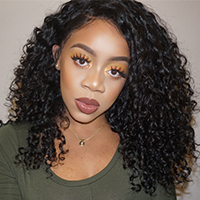 Luxury hair weave and superior Brazilian hair material add up additional value for this hair extension, definitely a good choice among all the other types of extensions. Very tightly bonded and easy for aftercare. Pre bonded hair extensions is a hot fusion method that uses an u tip keratin on the hair, the keratin could be melt so that it can wrap around your own hair to give a seamless outlook. This type of extensions allows you to attach strand by strand.